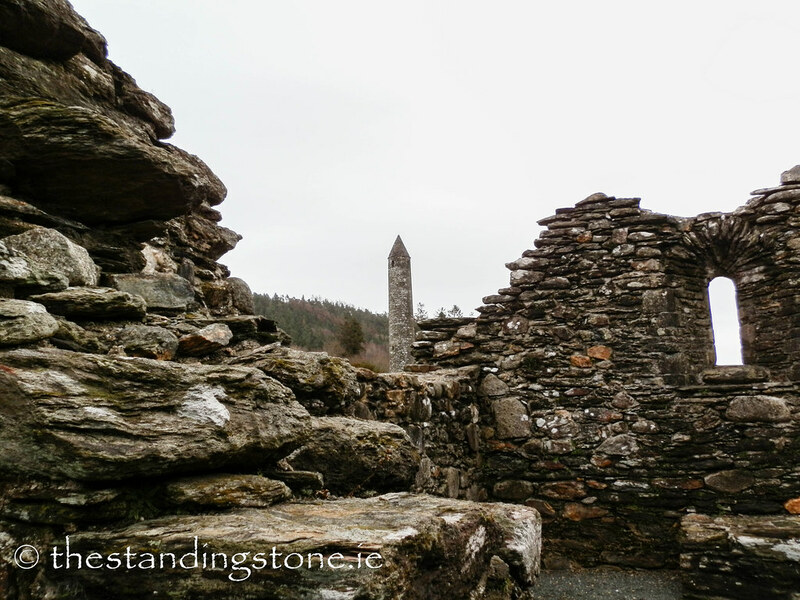 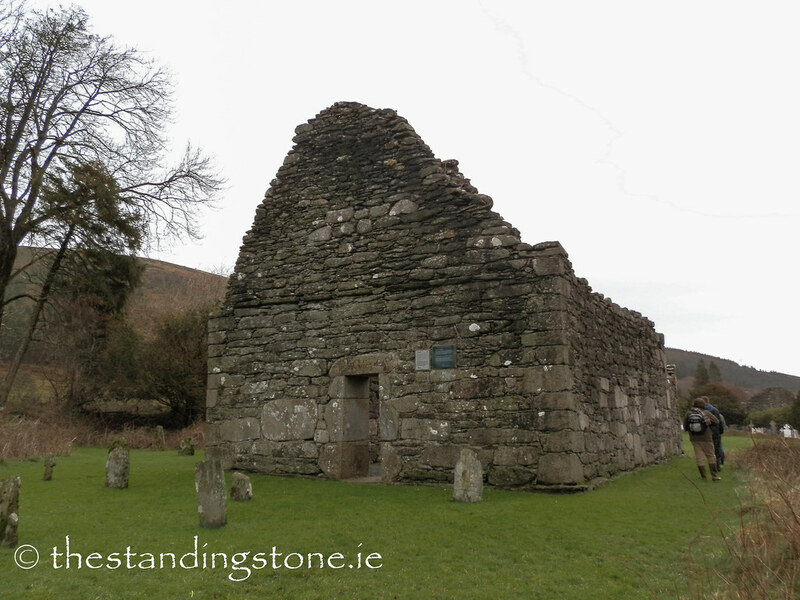 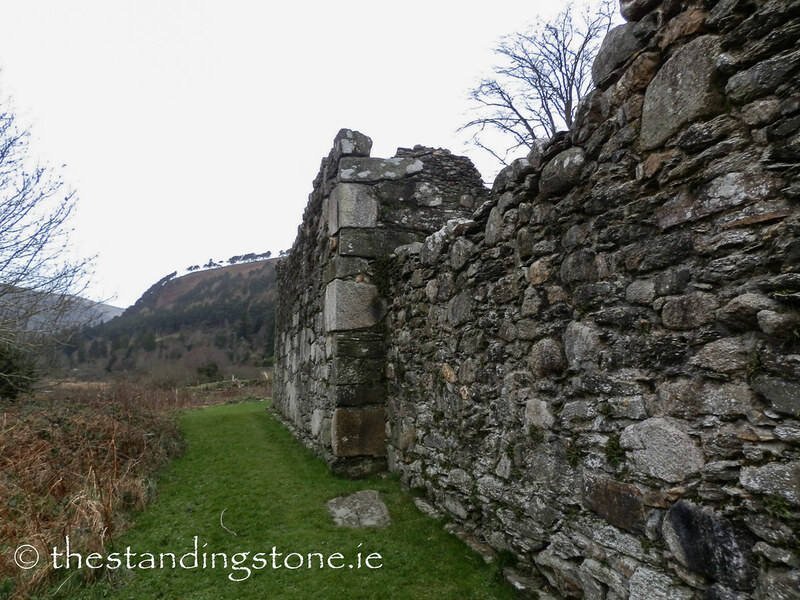 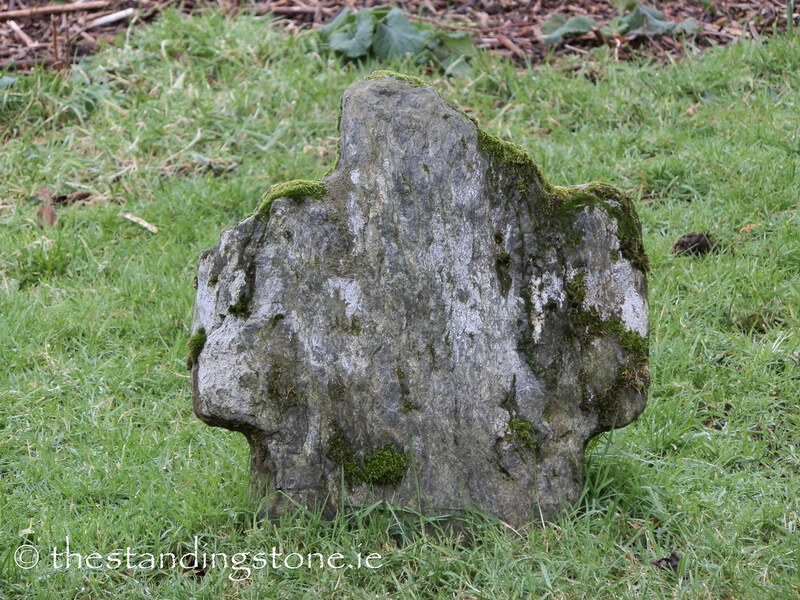 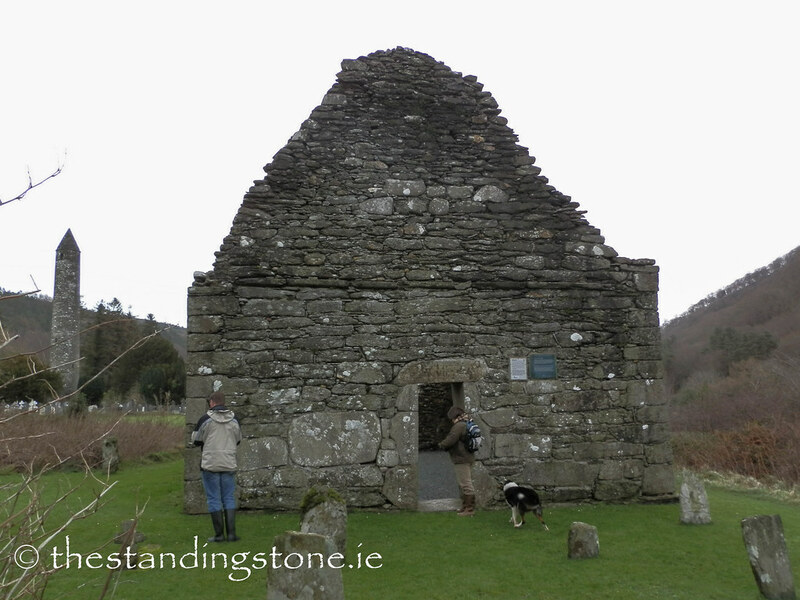 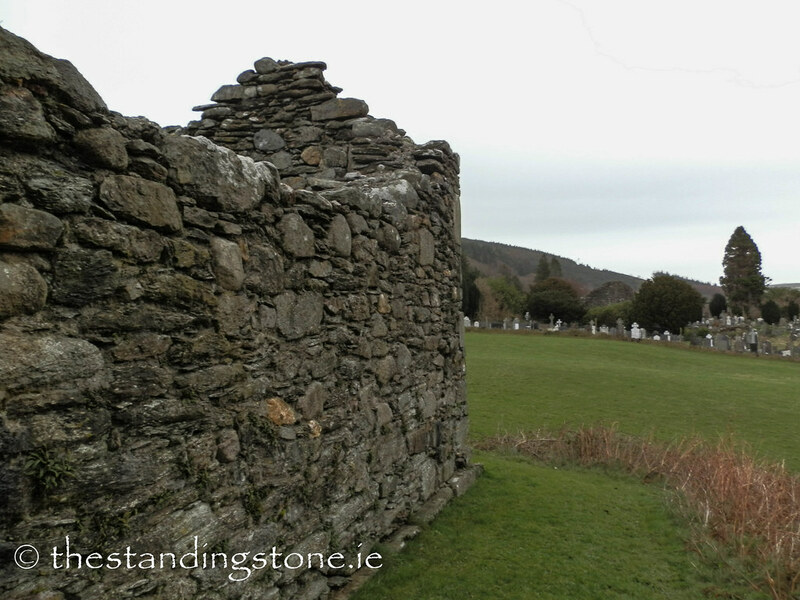 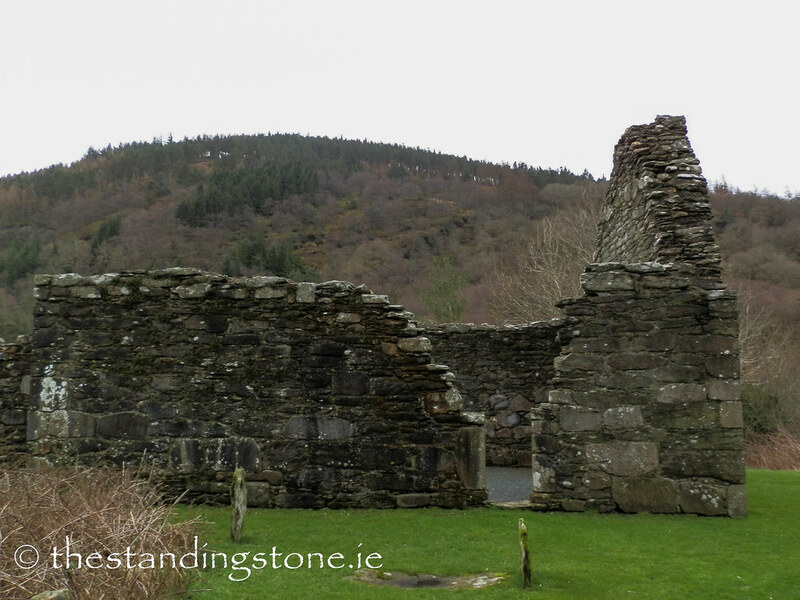 The Standing Stone: St. Mary’s Church, Glendalough, Co. Wicklow. 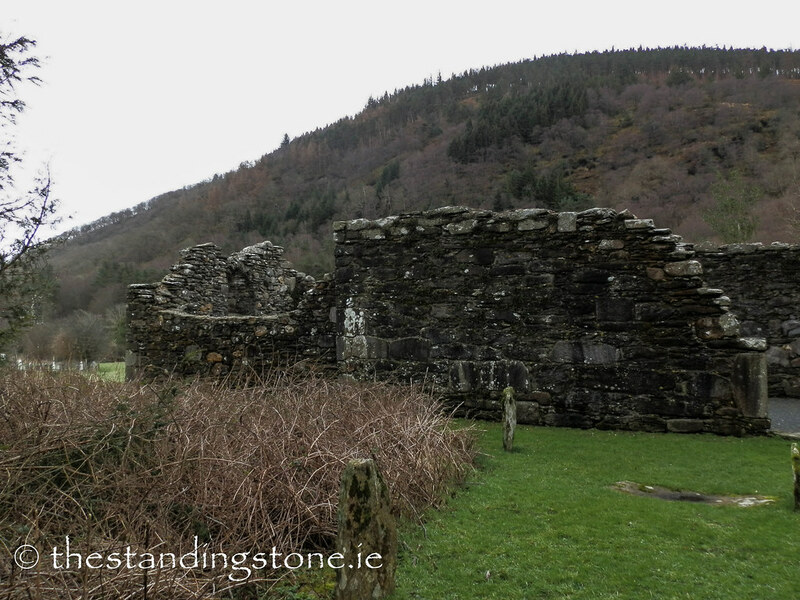 St. Mary’s Church, Glendalough, Co. Wicklow. 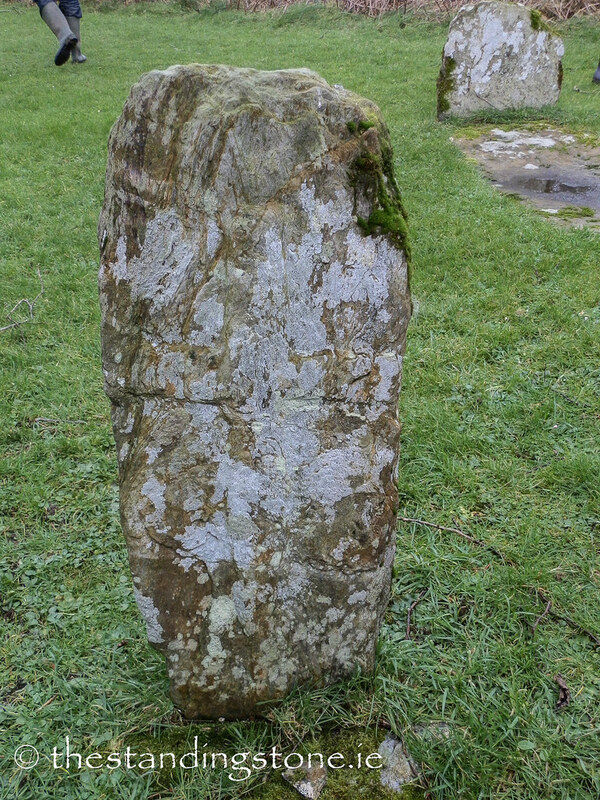 Location – This one is situated away from the main complex and sits in a field to the Southwest of the main complex, about 150 metres away. 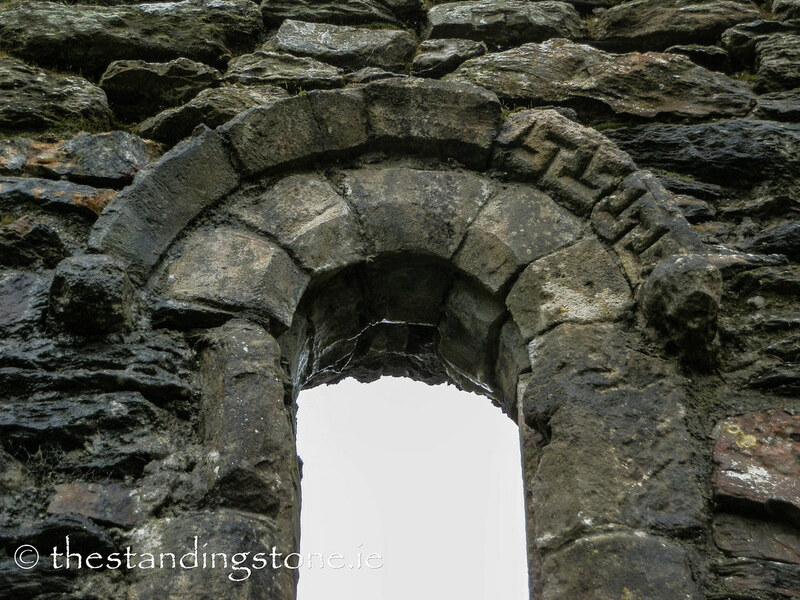 Description and History – St. Mary’s church, sometimes referred to as Our Lady’s church is possibly the oldest existing church at the site, dating to the 10th century. 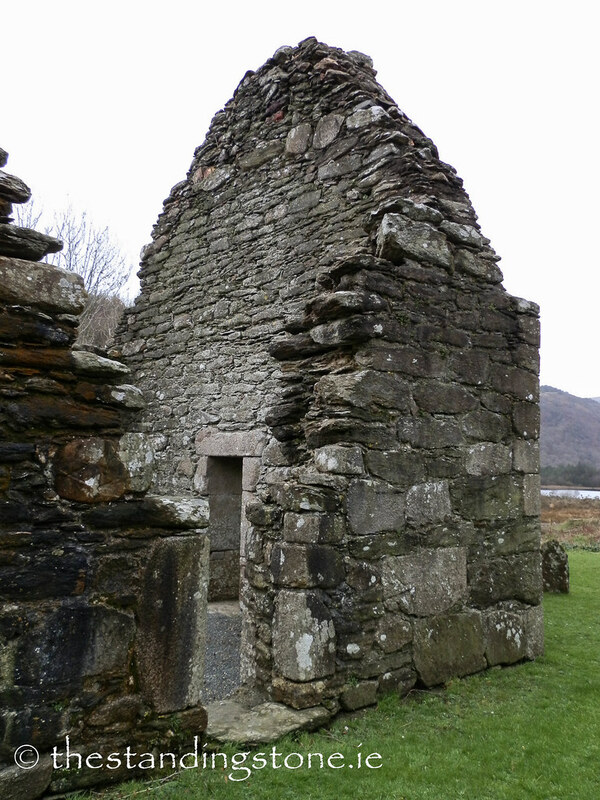 As with many of the other churches at the site the nave was constructed first with the chancel being added later. 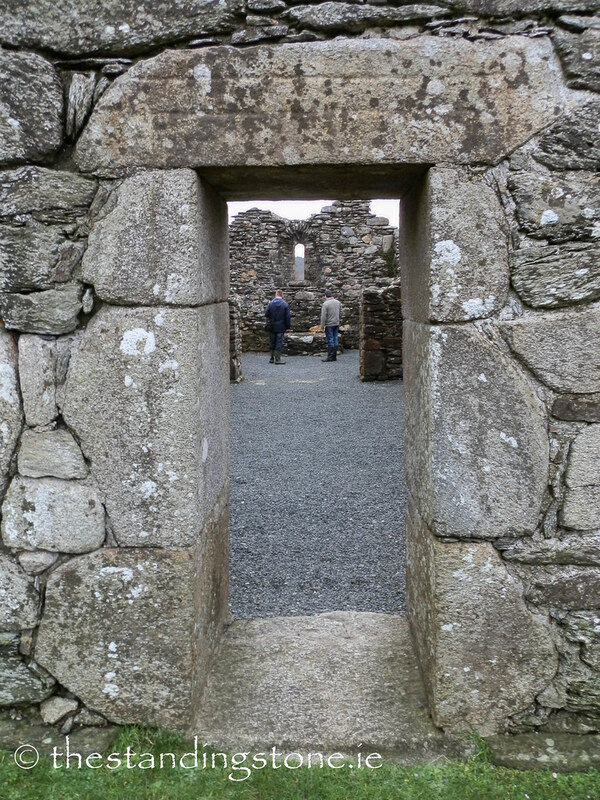 The lintel over the West doorway is carved with an X-shaped cross (my picture came out blurry, so I will have to photograph it on a return visit). 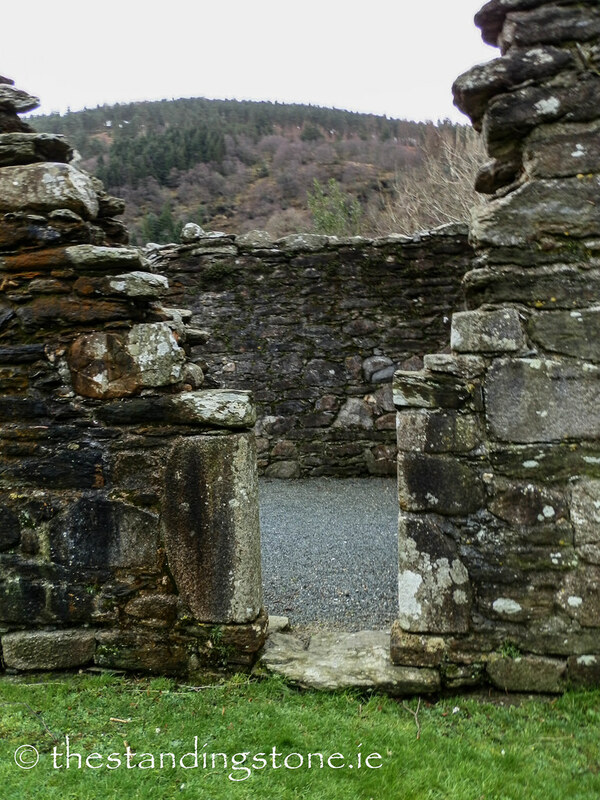 This doorway is particularly impressive. 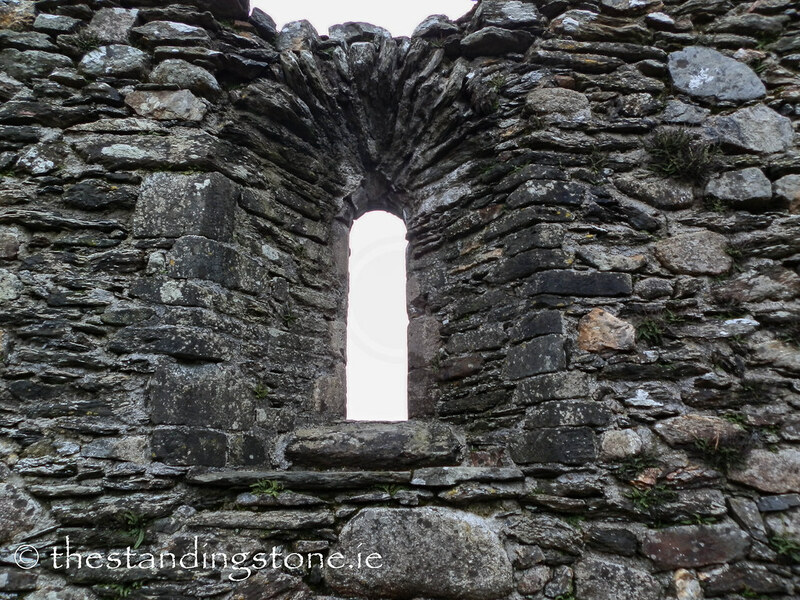 It is made of granite and inclines slightly as it reaches the lintel. 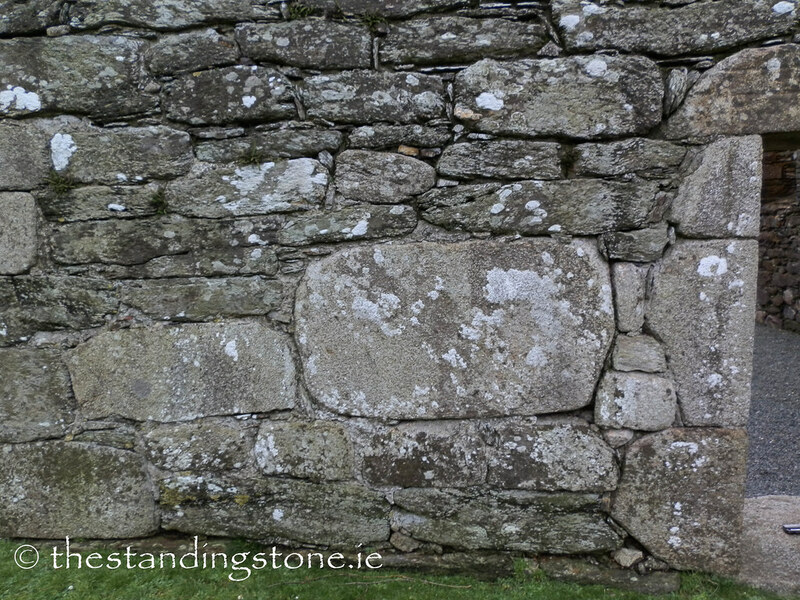 Two worn carved heads are set into the walls as well. 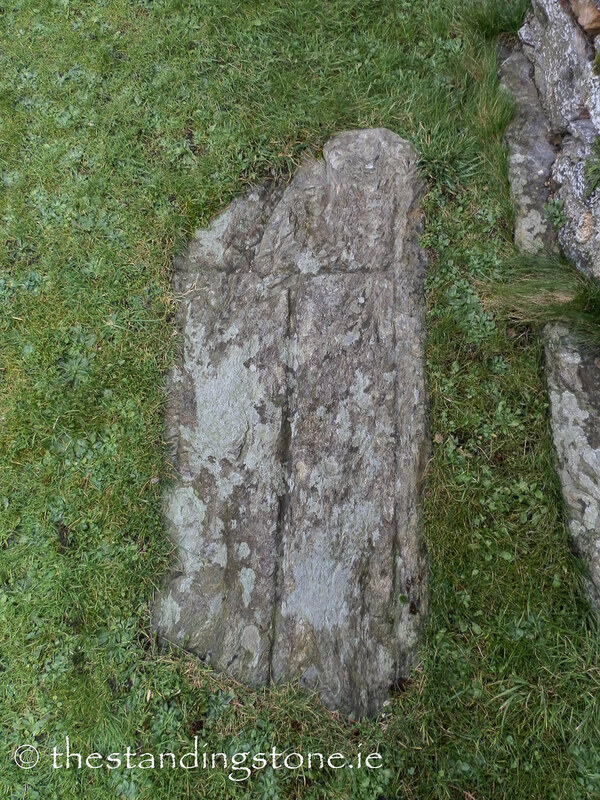 Two cross slabs can be found inside and a bullaun stone has been set into the altar. 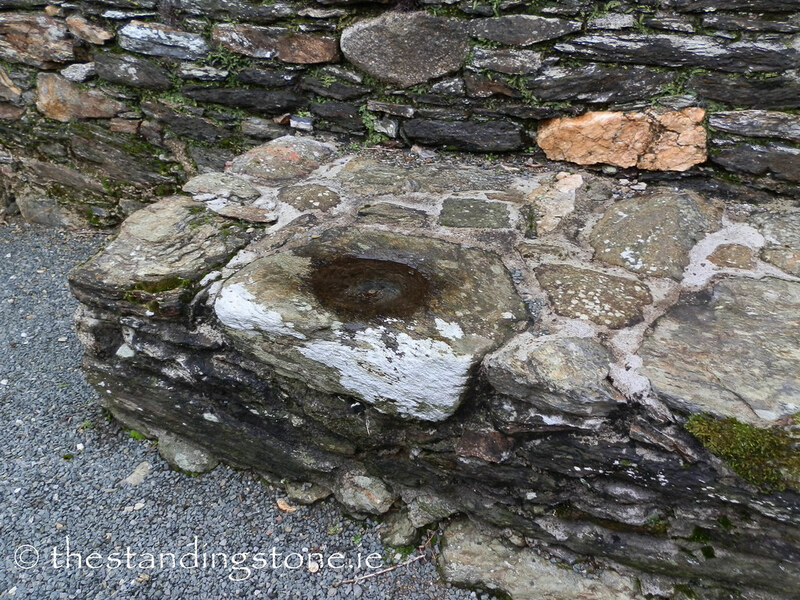 Difficulty – This one is a little trickier as it is set away from the main complex. 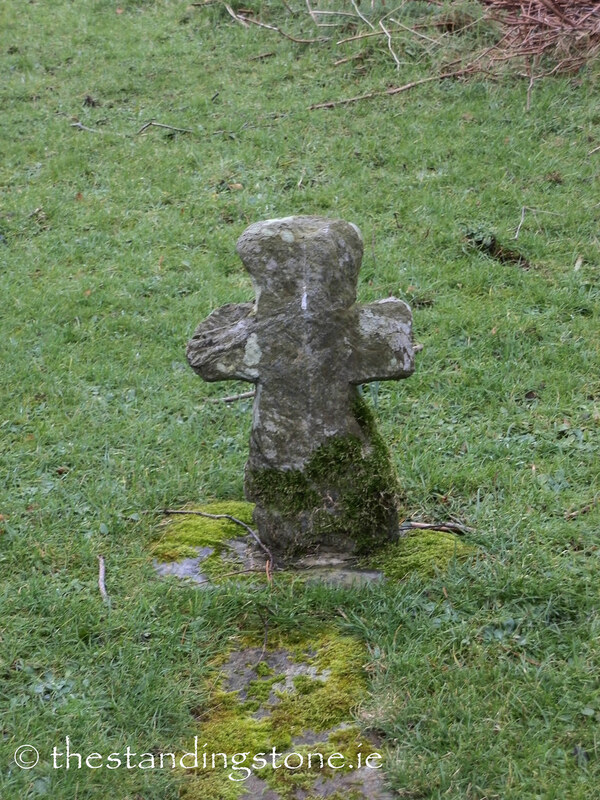 You will have to walk through the field to get to it. 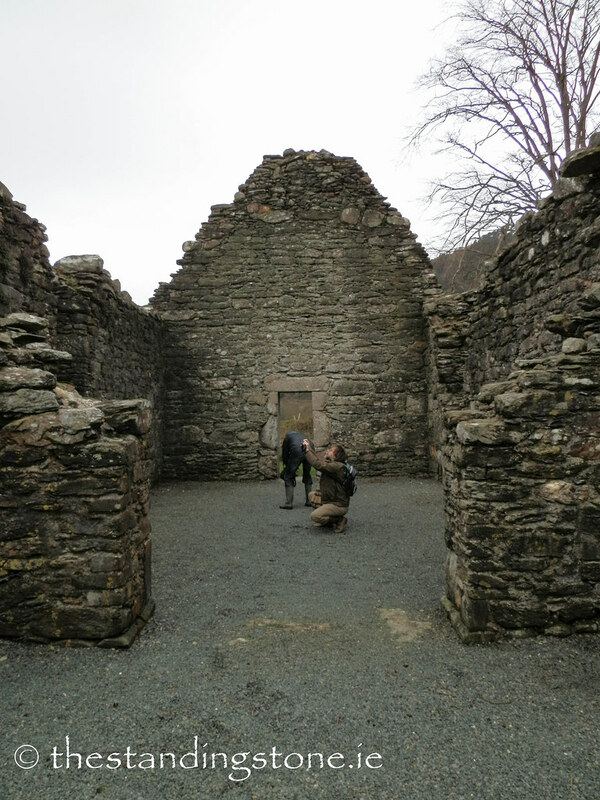 They will give you good directions in the visitor’s centre. 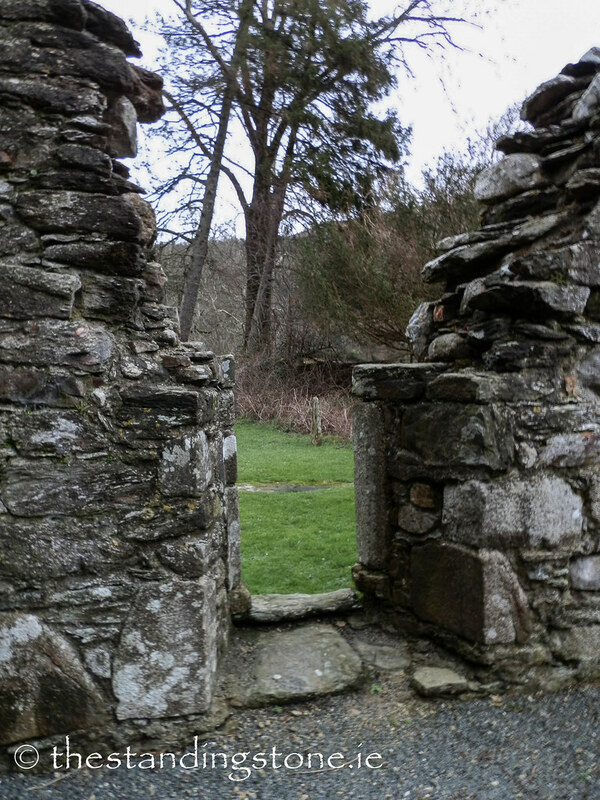 Try as I might there were always people in and out. 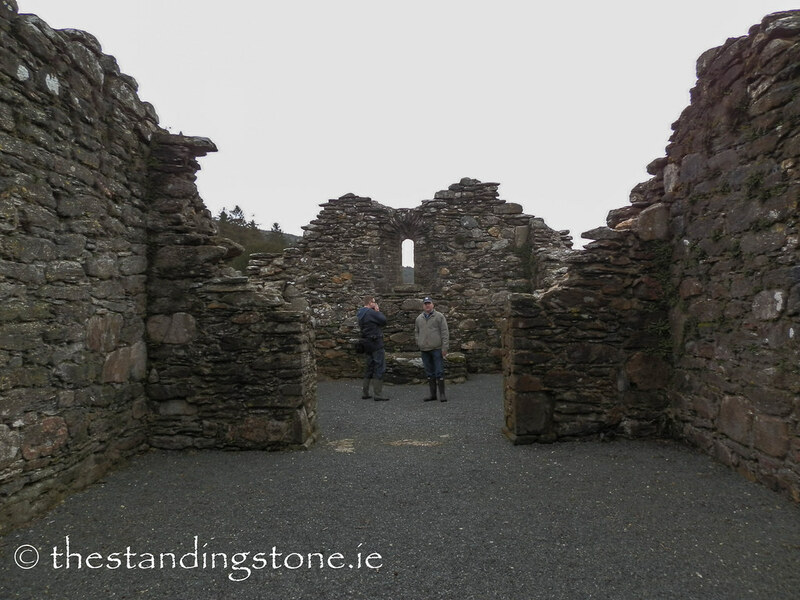 Some massive stones have been used in this church's construction. 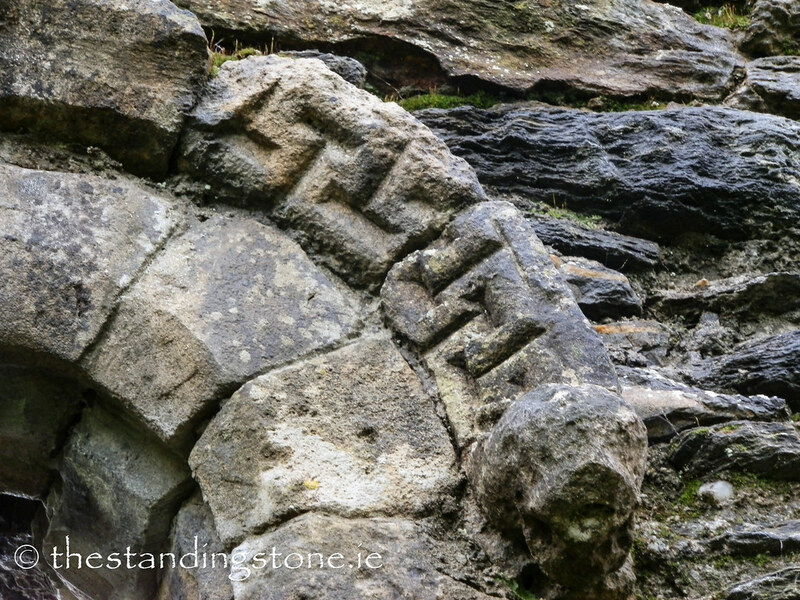 Interesting carving over the window. 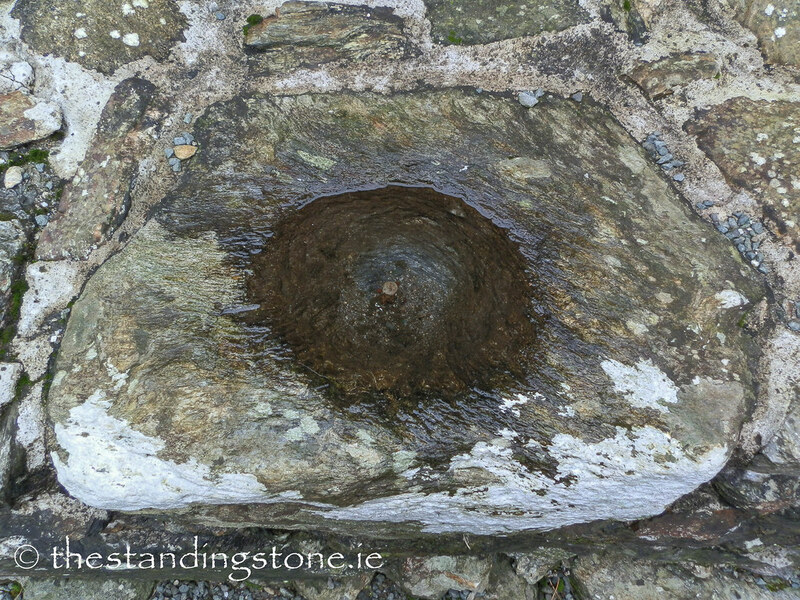 A bullaun stone set into the altar. 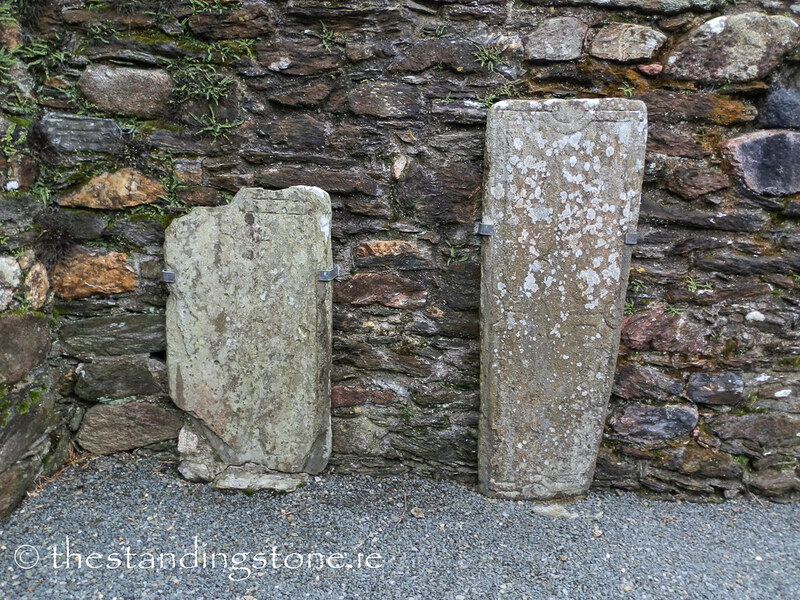 There are some very interesting slabs and grave-markers both inside and outside the church.